Getting my fingers covered in dirt is as satisfying as having them covered in ink. Weeding is a bit like editing, after all, cleaning up what’s there to turn it into its best. And then there’s the wonderful language of the garden. “Zucchini” comes from the Italian word for “sweetest.” The head of an asparagus is called the “squib.” When lettuce flowers, these flowers are called “bolts.” Yes, my book on the language of food will debut in the fall of 2019, but I have a feeling that a book on the language of nature and gardening is not too far after it. But before we get into the weeds of my publishing life, let’s talk about watering your garden—or more specifically, of course, the language involved. 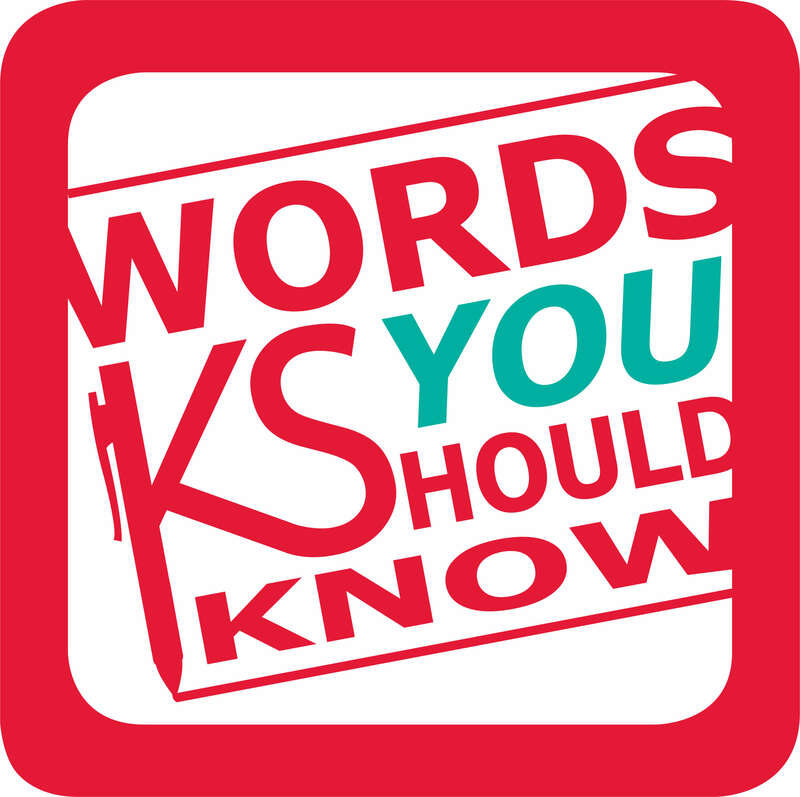 Why do I call this the “Words You Should Know” podcast? It’s not a lecture. The whole idea of grammar police annoys me. This is the podcast that reminds you that Ben Franklin and Kurt Cobain both influenced our modern English language, and spelling memes deserve to be debunked. See past episodes for those details. And speaking of last episodes, it’s kind of ironic that the episode after I talk about apples, “how do you like them apples,” and old versions of the expression about how they keep the doctor away, I get sick. But onward, as always. Thanks for bearing with my slightly scratchy voice today. This podcast is on one of my favorite explorations. It’s all about words you wish existed. What’s the word for the act of annoying older brothers (vybafnout)? Or the scratching of your head in order to help you remember something you’ve forgotten (pana po’o)? Or that old trick where you tap someone lightly on the opposite shoulder from behind to fool them (mencolek)? Just look at Czech, Hawaiian or Indonesian respectively, and they have your answers. Of course, sometimes the word you need seems simple. How do you differentiate a singular versus plural “you”? But here’s the secret. For this one, at least, the English language already has an answer. This is the start of season 2. How to start with that bang? Let’s talk Beyoncé, Gwen Stefani, and a classic Broadway show—and, of course, the words they use. You might not have known it, but they have a major disagreement on the usage of a phrase. Specifically, should it be “if I were” or “if I was”? Today, we’re going to get down to the root of it, plus answer another big one that I know has been bothering you: Is it “ring in the new year” or “bring in the new year”? At twelve months old, babies are already beginning to recognize “adjacent relationships” of words, how language fits together to organize itself. The learning process with listening, speaking, and writing, begins there and often lasts for a lifetime. There’s no medal awarded for correctness, but a strong command of your words is one way to show your mettle. But we’ll get back to that. Is it possible to be more proud than a peacock? Or, wait, is it “prouder” than a peacock? One is the correct form, but do you know the answer? Let’s talk language tips for the curious or confused. This is Season 1, Episode 10. How we have only two episodes left in this first season, I have no idea, but here we are. I’m presently building my list of ideas for Season 2, so contact me if you have a question or some fascinating word trivia to share. But for now, let’s dive in.